Harmonic Learning’s Team-Building offerings provide your team with simulations, assessments, and fun activities designed to create deeper trust and teamwork. 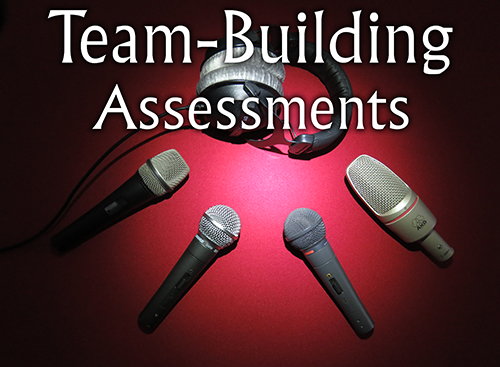 Each team-member has a unique voice that they bring to the group, and with these activities your team will learn to understand and appreciate the unique strengths of each team-member, building trust and teamwork. Provide a mirror to the team by using various assessments to determine the state of the team and develop a roadmap for growth and development. 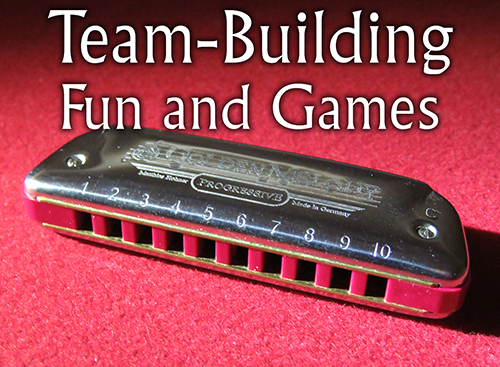 Have fun while learning about each other and how the team best functions. These games provide an intentional path to understanding how to be successful. Transport your team into a fictional journey of discovery as they must work together to develop ideas to solve the problem that has been presented to them. The path to building a stronger team is easy to follow, but it helps to have a guide. We will lead your team on this path to create familiarity, deepen understanding, develop trust, and ultimately enhance teamwork. Explore the various types of team-building activities to plan your trip. They can be done as stand-alone activities, or combined in unique ways for a longer-term team-building process. Contact Us to discuss how we can provide these team-building programs to your organization.